I LOVE Indian food with a passion. There is something about it that is so unbelievably comforting and nourishing to me. 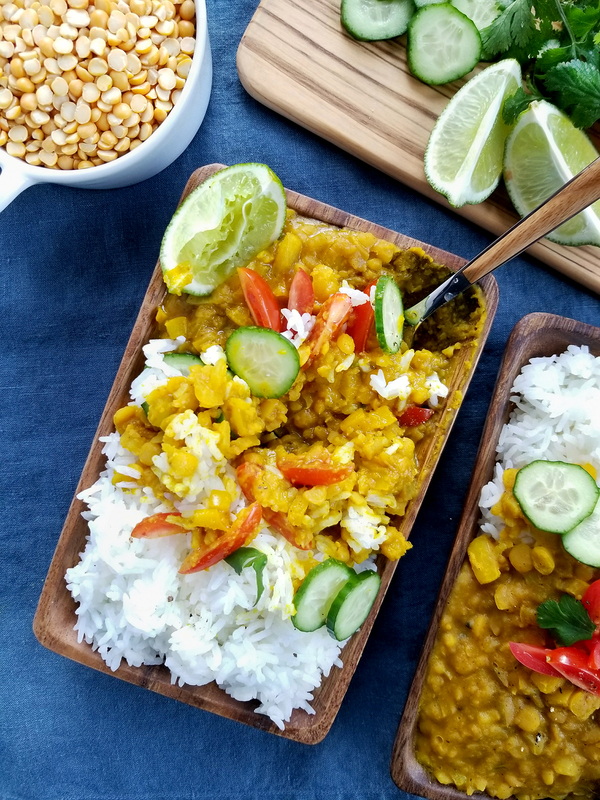 I suppose that, the cuisine tends to focus on fresh and dried spices, while using simple and uncomplicated foods like pulses, rice, potatoes, and vegetables. With a large focus on mostly whole plant foods, Indian cuisine is right up my alley. 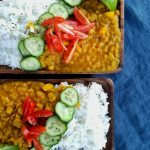 Dal is a simple preparation of split pulses mixed with herbs and spices, essentially spiced legume porridge. From lentils, mung beans, kidney beans, chickpeas, peas and many other legumes. 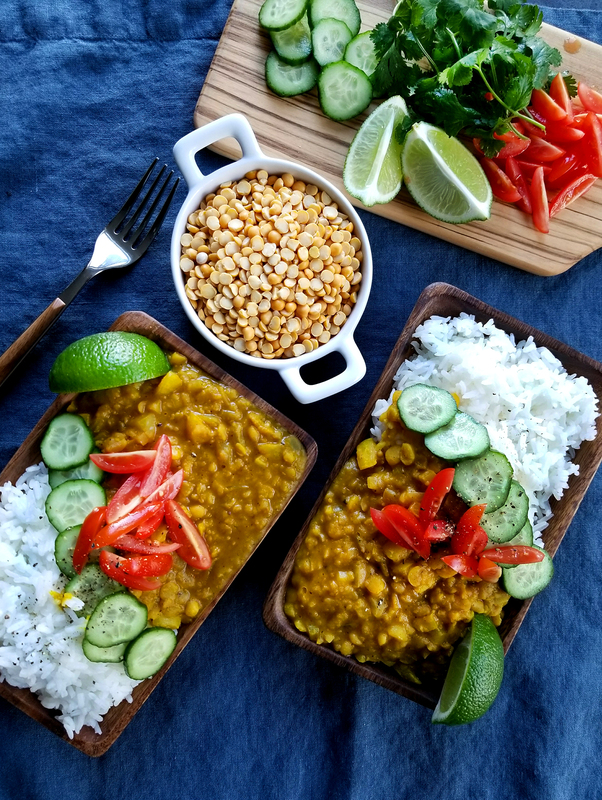 Dal is a simple staple that everyone should have a basic recipe for. This recipe is perfect for making a hearty dinner or meal prepping for your freezer. It is delicious made fresh but even more flavorful as a leftover, when the peas really have time to absorb all the seasonings. 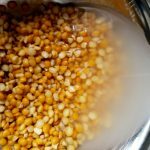 It is loaded with fiber, low in fat, and packed with all sorts of vitamins and minerals from the earthy split peas, vegetables and spices. 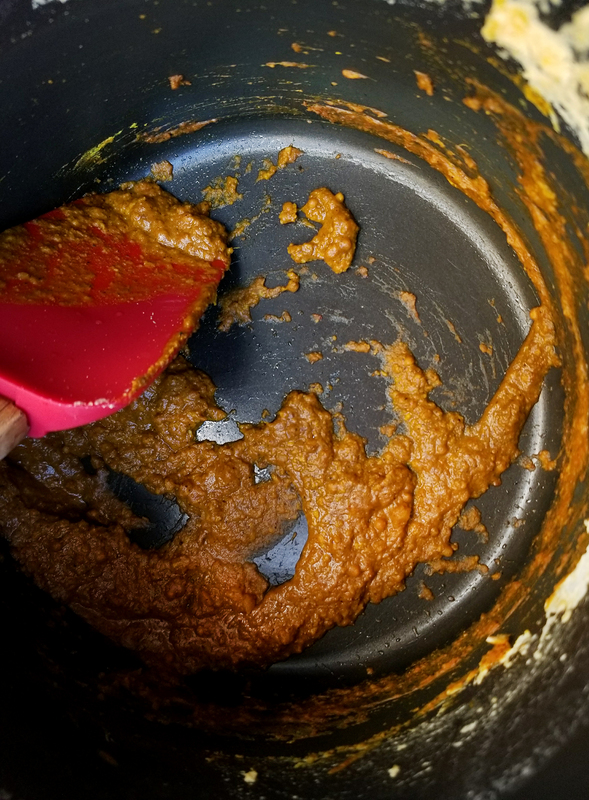 I wanted to use garam masala as my main spice rather than your typical stores’ curry powder mix because garam masala brings in more warming flavors such as cinnamon and cloves. Adding the mustard seeds and turmeric separately give the dish a wonderful depth and insane color that I wanted to stick with throughout the dish. 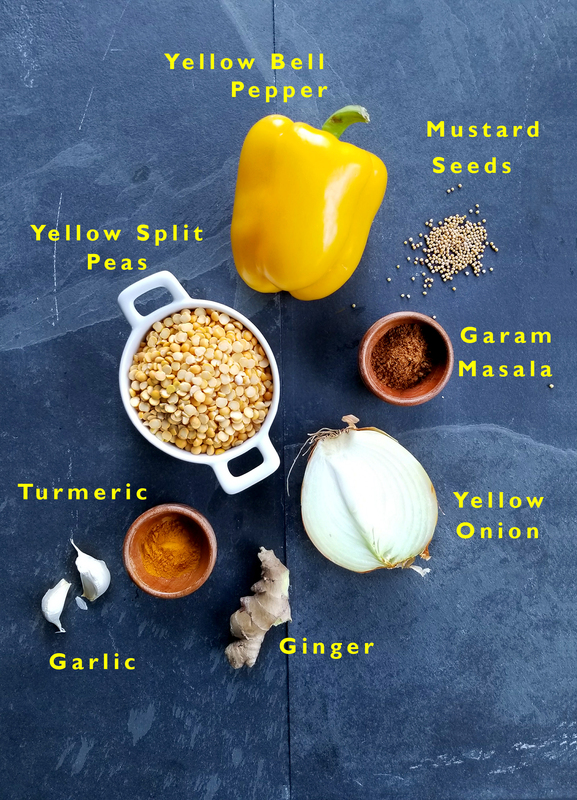 I particularly love yellow dals for their bright color, so to stay true to the hue I used mostly yellow ingredients; mustard, turmeric, yellow bell pepper, and onion. All of these bring a wonderful depth of color to this bright and inviting dish. It is great on its own, but I love it poured over some basmati rice with fresh spinach, or any greens of your choosing. 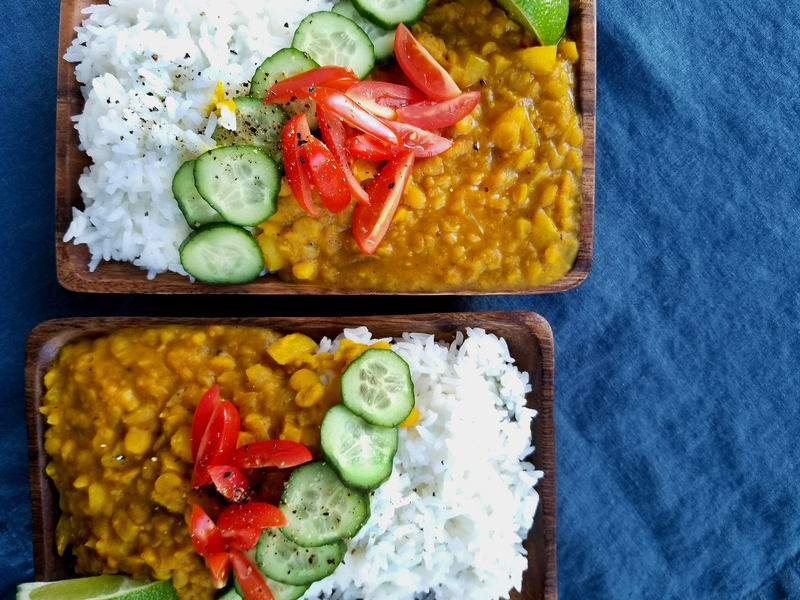 If you are not into rice, dal is a great companion to steamed potatoes and roasted vegetables. 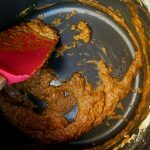 Once you have a garam masala spice blend in your pantry you can whip up this meal whenever you get a kick for Indian comfort food! 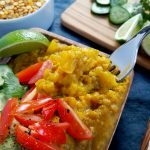 Wonderfully spiced and creamy yellow split pea dal. Packed with fiber and protein it's the perfect vehicles for rice, fresh vegetables, or hot naan! Clean the split peas, in a small bowl place the peas and enough water to cover them, using one hand to hold the bowl and one hand to clean the peas rub the peas between your fingers to help get off the dust and any extra skins. The water will become cloudy, drain off the cloudy water and fill with new water and agitate the peas again, rinse and repeat 3-4 times until the water is mostly clear. 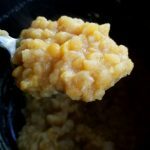 In a medium sauce pot, add the cleaned split peas, 5 cups of water and a pinch of salt, bring to a boil. Remove the white foam from the top with a spoon, then reduce the heat to low and simmer for 30 min. Around 30 minutes the peas should be mostly cooked with very few hard centers. In a separate mixing bowl with a strainer on top separate the split peas from the cooking liquid. 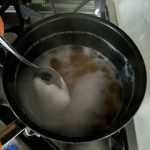 Do not throw away the cooking liquid, it will be added back to the dish. Set aside. In the now empty sauce pot, over medium heat, add the coconut milk and mustard seeds, sauté for a minute so the seeds have time to infuse the coconut milk. Add the turmeric and the garam masala and stir until you have made a spice paste. Add the onion and bell peppers and stir to combine, cook until the onions start to give off some water (2-4 minutes). Finish with the grated garlic and ginger and stir for another minute until the garlic and ginger are fragrant. Add in the split peas and half of the cooking liquid back into the pot. Cook for another 5-10 minutes until creamy consistency is reached. Season with salt and pepper and add in more cooking liquid if the dal gets too thick. Serve with fresh greens, basmati rice, and any number of toppings. I personally love cucumbers, fresh tomatoes, chilies and lime! It would also be delicious served with Toasted pita or naan bread!